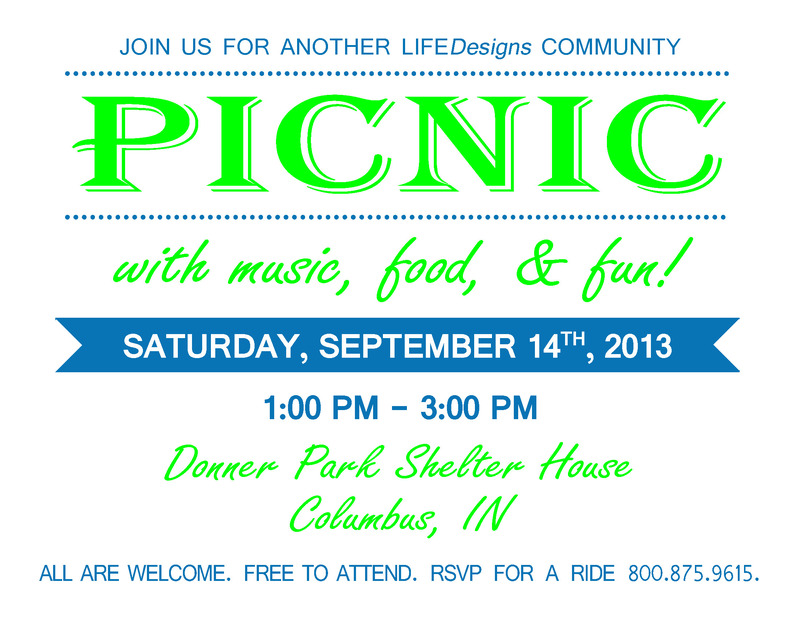 LIFEDesigns is hosting another picnic this year! 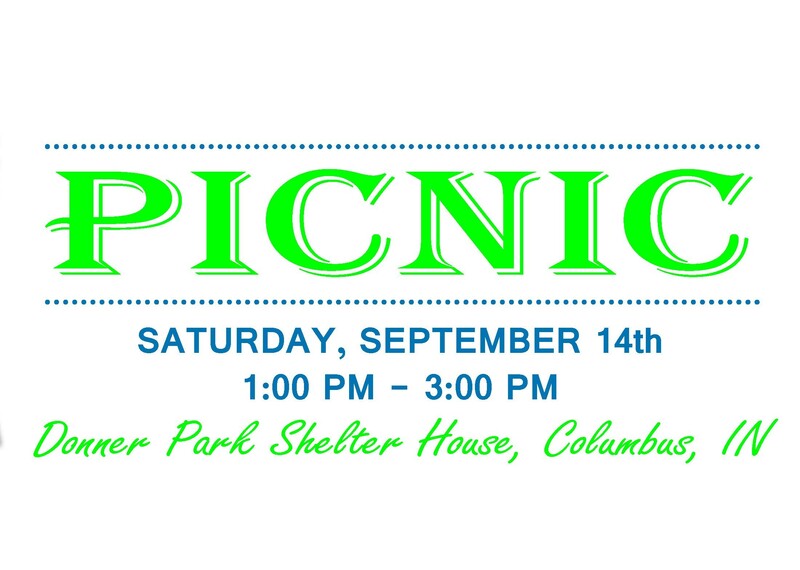 It will be held in Columbus, IN at the Donner Park Shelter House (the same location as the 2012 picnic) on Saturday, September 14th from 1-3pm. LIFEDesigns will provide all of the food and music and you can provide the fun! Come join us from 1pm to 3pm for a great time. All are welcome and there is no charge to attend. This year DSP Appreciation Week is Sept. 9th through the 14th, so this is a great way to end the week. We hope you can make it. For a ride please call 800.875.9615.